Review: This book contains everything I look for in a mystery: an old southern plantation, history, ghosts, and murder by poisoned dessert drink! I learned so much about life during Colonial times, from their culture to their food, and was taken on a tour of Colonial Williamsburg via the pages of a book, a place I have always been fascinated with. It's a complex page-turner of a mystery with twists and turns, plenty of suspects, and a group of interesting women I would love to sip (un-poisoned) syllabub with. Highly recommended for lovers of mystery laced with local historical flair. I received a review copy of this book from Partners in Crime Tours. 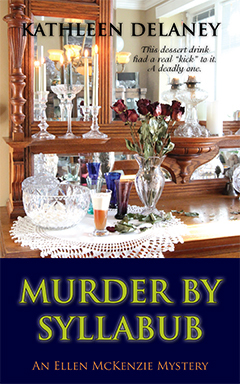 Leave a comment with your email address for a chance to win an ebook copy of Murder by Syllabub. This one looks really good!!!! I'd love to win! Very nice review and post!! Thank you for sharing your thoughts on this book! 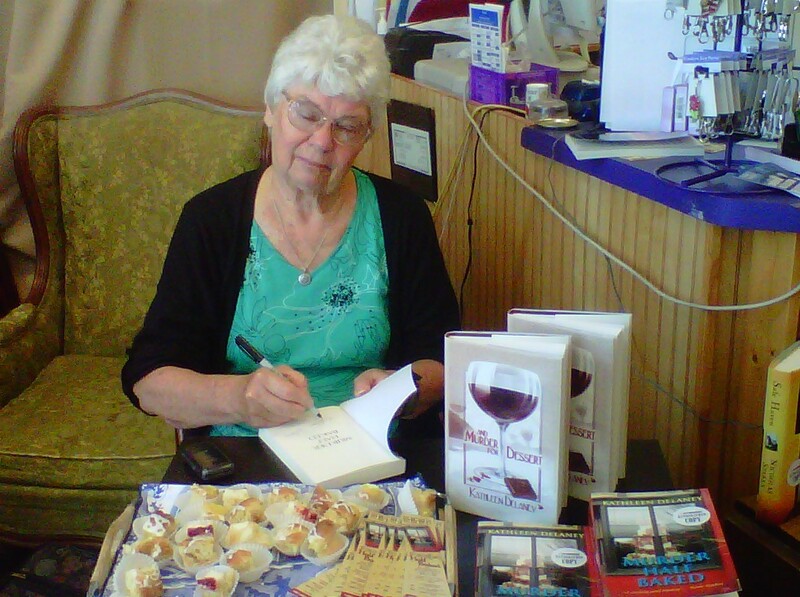 Katheen's a new to me author, but ghosts and murder make a fun combination to read. I love ghosts and historical places too! Syllabub is a great historical touch And poisoned? Even better. What exacty is syllabub--a desert drink but what all is in it? Maybe I will learn when I read this book. Review was great. I loved the excerpt. Thank you for the opportunity of this giveaway. Please enter my name. Sounds like an awesome read. I'd love to revisit Williamsburg. Such a beautiful place. I want to read this! I love stories with ghosts!